Unique Chuck-Type Strain Relief For 6mm - 15mm Cable O.D. 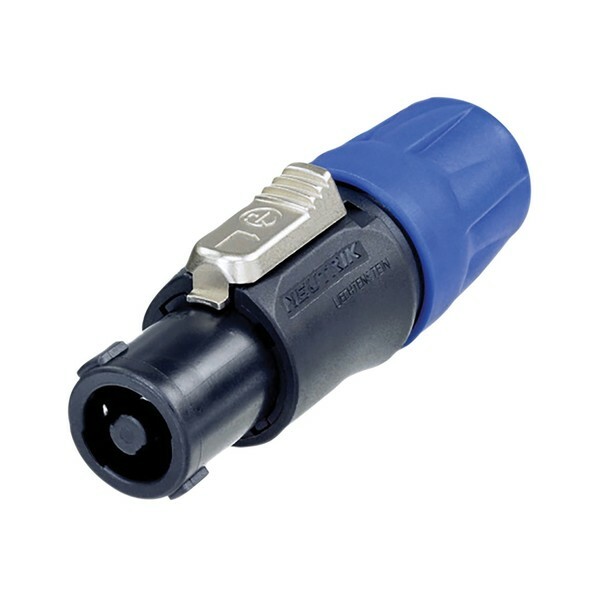 The Neutrik NL4FC 4-Pole Female SpeakON Cable Connector offers exceptional realiability thanks to Neutrik's legendary construction and performance quality standards. Solid contacts with screw-type terminals as well as stranded wire protection with solder termination options ensure hassle-free wiring with consistent performance. The accurate and user-friendly 'Quick Lock' latching system provides dependable connectivity whilst glass-reinforced materials for the insert and housing ensure long-lasting durability. The unique and highly-effective Neutrik chuck-type strain relief is suitable for 6 to 15mm cable O.D. Cable strain relief for 6 to 15mm cable O.D.